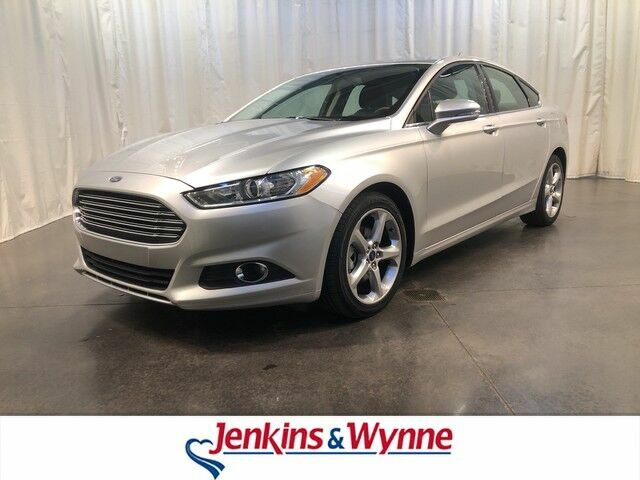 Jenkins & Wynne has a wide selection of exceptional pre-owned vehicles to choose from, including this 2016 Ford Fusion. You don't have to sacrifice style or comfort with this fuel-efficient Ford Fusion. This is the one. Just what you've been looking for. Driven by many, but adored by more, the Ford Fusion SE is a perfect addition to any home. More information about the 2016 Ford Fusion: The Ford Fusion is a mid-sized sedan and must therefore compete in an incredibly competitive segment, going up against heavyweights such as the Toyota Camry and Honda Accord. Ford has priced the car accordingly, with models starting at $22,000. On the other end of the price spectrum, the Fusion can be outfitted with a variety of luxury equipment, providing a sensible alternative to the entry-level cars sold by several luxury marques. Strengths of this model include available plug-in hybrid drivetrain, Efficient, stylish, and practical TEXT: 214.914.1866 CALL: 931.538.7505 EMAIL: Sales@JenkinsAndWynne.com. Our pre-owned come w/ an oil change, windshield wiper fluid check, 50k mile compression check, atleast a 32pt inspection sheet, the AutoCheck vehicle report, and a 12month/12k mile power train warranty (on a vehicle w/ 80k miles or less/10 years or less/ excludes Diesels, also excludes Bargain Corral Vehicles). This is already over a $200 savings to you! Jenkins & Wynne has been proudly serving the Clarksville area since 1953! This 2016 Ford Fusion SE is a 4 door 2.5L front wheel drive sedan! This beauty has black cloth interior, back up camera, touch screen audio system, heated front deats. hands free talk, power locks and windows and more!